What we once perceived to be the future is now upon us. Many facets of society from technology to transportation are advancing in a new direction, and education is traveling right alongside them. With all the changes being made, it can be hard for anyone to keep up. Thanks to modern professional development, however, this does not have to be the case for educators. Professional development today is all about learning the most up-to-date, creative approaches to teaching that are both impactful and enjoyable for you and your students all while keeping up with local, state, and national changes in curriculum. It is about being a self-starter and building a network with others who are doing the same. 1. Enhance your teaching with interactive exchanges with professionals. Modern professional development gives you direct access to highly experienced educators with years of experience in what you’re hoping to learn more about. Training is no longer general, but designed to meet your specific needs as an educator. It is also designed to be convenient and fit your unique schedule. You can attend in-person, open-registration workshops, webinars, or school/district sponsored sessions. 2. Learn to use developmentally appropriate strategies to promote success. Unlike in the past, there is no one way to teach…there are actually several! Research has been conducted to identify which methods best help students comprehend information and is now reflected in teaching instruction. During contemporary professional development sessions, teachers learn how to use developmentally tailored lessons to ensure students have a maximum understanding of the material being taught. 3. Get interactive lessons and activities implementation. Developmentally appropriate lessons use activities that students know and love to create understanding. 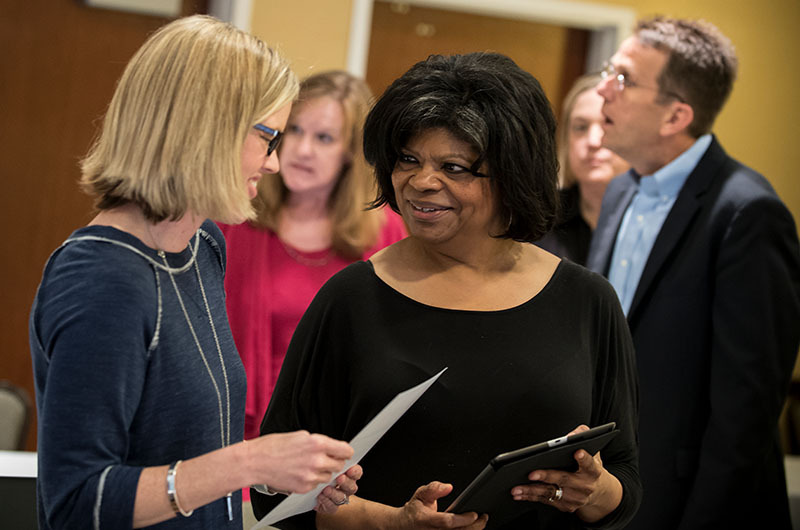 Educators that attend new-age professional development sessions learn how to implement singing, dancing, crafting, and playing into lessons to create fun and memorable learning experiences. They are also taught how to bring familiar technological devices, such as tablets and interactive white boards, into instruction for classwork, homework and whole-class activities. 4. Network with other professionals in your field. A large portion of your professional development experience is what you make of it. The responsibility of your experience shouldn’t be put solely on training presenters. Take initiative and create your own experience. Get to know other educators within and outside of your school. Listen to their unique ideas and share your own teaching hacks. Exchange LinkedIn, Facebook, or Pinterest information so that you can keep in touch and see each other’s tips in action. 5. Explore teaching ideas for school readiness, handwriting and keyboarding. Learning Without Tears has created distinct and effective, multisensory curricula for school readiness, handwriting, and keyboarding. At each of our professional development sessions, teachers, parents, and occupational therapists are welcome to learn more about how to set up students for academic success and to become confident communicators in the classroom. We are also prepared for the burgeoning modernization of handwriting instruction. We are committed to providing teachers, occupational therapists and parents with professional development opportunities that equip them with the instruction methods, tools, and technologies needed to build strong, 21st century scholars. Find out more about our diverse range of professional development offerings here. Use promo code BLOG2018 and get $35 off!